The Community Foundation manages several funds that provide grants of $25 to $1,000 for specific needs of individuals in the county. Applications must be substantiated by a case worker, teacher, or counselor. Applications may be submitted any time except during April when our online grant application system undergoes annual upgrades. Decisions are generally made within 30 days. A link to an application is below. Provides grants for individuals who are in an extraordinary situation where a nominal amount of intervention is likely to yield life-changing outcomes. Grants are limited to individuals who are under the age of 18 and who reside in Berks County. Preference is given to Berks County children who have a physical or medical need that the family is unable to afford. A parent, guardian, teacher, social worker, caseworker, or court official may complete the application on a child’s behalf to be considered for a grant. 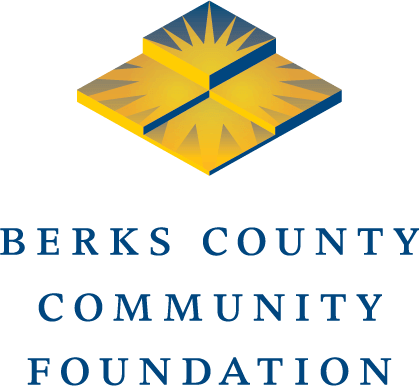 Provides grants for Berks County children who are under the age of 18 for critical medical, social, or educational needs that will enhance their ability to achieve their full potential. A parent, guardian, teacher, social worker, caseworker, or court official may complete the application on a child’s behalf to be considered for a grant. Grants may also support clients of the Berks County Drug Treatment Court. Provides grants to educate young men (up to age 30) in Berks County, one at a time, and is not to be used to benefit an institution. A parent, guardian, teacher, social worker, caseworker, or court official may complete the application on an individual’s behalf to be considered for a grant. Provides grants for Berks County children who are under the age of 18 and who have learning and physical disabilities. A parent, guardian, teacher, social worker, caseworker, or court official may complete the application on a child’s behalf to be considered for a grant. Provides grants for recently discharged adults who were once foster children who either lived in a Berks County foster home and/or were Berks County residents at the time of their placement in foster care are eligible to receive grants to assist them with transitional housing costs in general and/or educational expenses. Grants to each individual should not exceed $1,000 per year. Social workers or case workers with Berks County Juvenile Probation Office, Berks County Children and Youth, or other agencies who work with foster children may submit an application on a client’s behalf as he or she transitions out of foster care.